1. Calories. Your body burns energy measured in calories. 2. Macronutrients contain different numbers of calories. 3. Count Calories. Each person burns a different number of calories depending upon their metabolism and activity level. Count your calories. Write down everything you eat in a normal day and add up the calories. Go online or get a calorie counting app for your smart phone. 4. BMR- You can determine the number of calories your body needs each day by determining your Basal Metabolic Rate, then adding or subtracting from that depending upon your goals. ​Females: Multiply your weight by 10, and add your weight. Now subtract 2% for every 10 years of life. ​Males: Multiply your weight by 10, and add twice your weight. Now subtract 2% for every ten years of life. 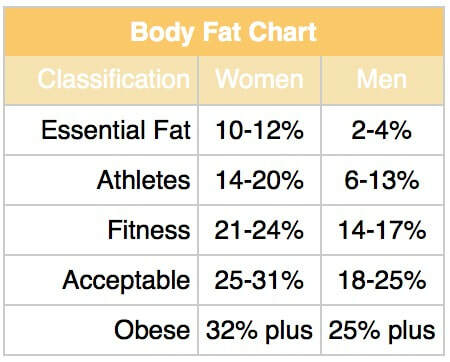 Males and females: Add 20% - 40% depending upon your activity level. 20% = couch potato/sedentary job, 30% average, 40% active. If you want to lose fat, you must burn more calories than you eat! There are 3,500 calories contained in one pound of fat. Once you accumulate 3,500 more calories than you need, you will gain a pound of fat. Eat less! Cut between 250-500 (no more!) calories per day. Exercise more! Do a 30-45 minute workout 3-4 days per week, which will enable you to burn at least 250-350 calories per workout. Eat more often! You should eat 5-6 small, healthy, low fat meals per day equal to your BMR, minus 300-500. This will keep your metabolism from slowing down and storing fat in spite of your calorie cutting efforts. If you want to gain muscle, work out with weights 3-4 times per week and take in more calories than you burn, primarily in protein. Add 250-500 calories to your BMR. Eat an amount of protein equal in grams to your body weight in pounds. Eat every three hours throughout the day to feed your muscles. Consume your largest meal of the day within one hour after a workout, composed mainly of carbohydrates and proteins like: pasta, potatoes, corn, bread, lean meat. Drink a whey protein shake within an hour before and an hour after your weight workout. These statements have not been evaluated by a physician. Always consult your doctor before starting a diet or exercise program.